So WHY do I feel that Alcohol, Cigarettes, and Guns are controversial endorsements for John Wayne? Because all of them can kill you. 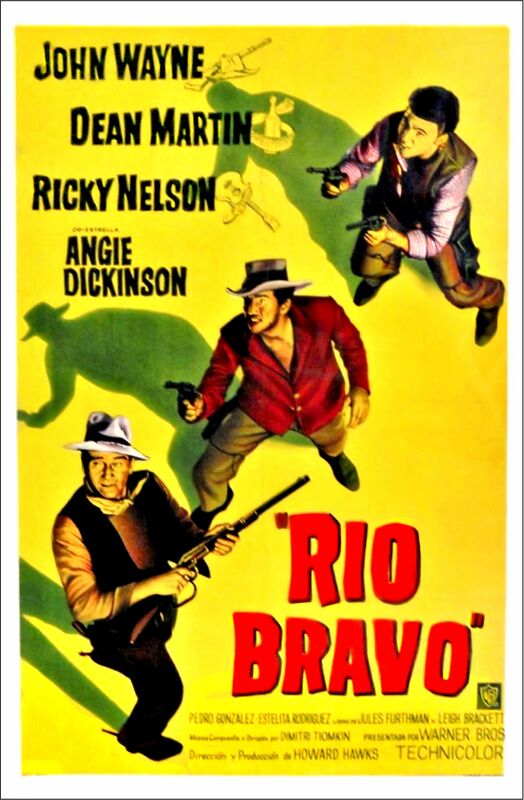 But before I cover John’s Guns, I want to look at Rio Bravo a bit more. 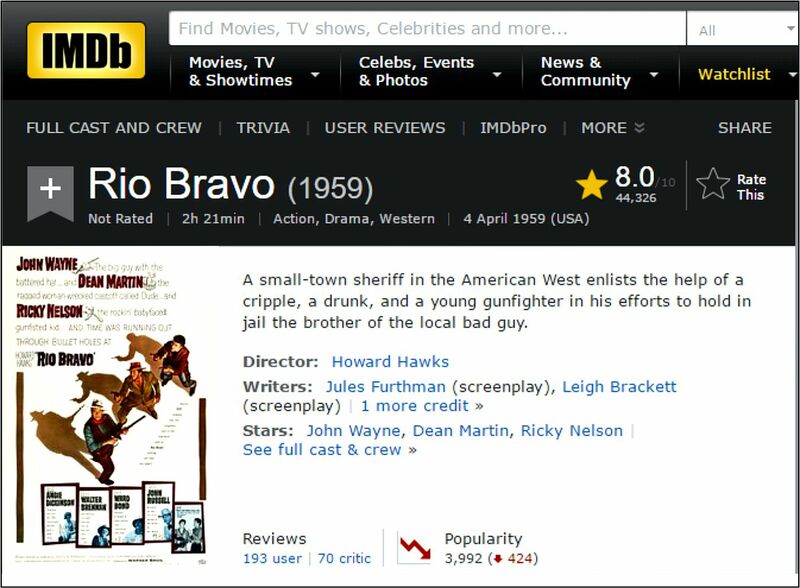 I didn’t used to like Rio Bravo. Now I can’t remember why? 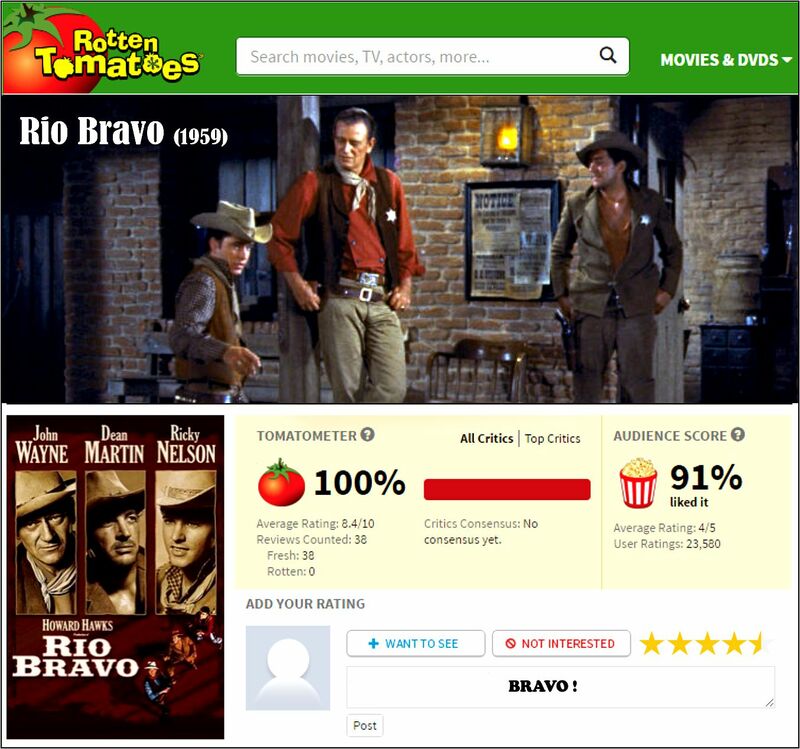 I know it’s not the Best John Wayne Western, but I’d say it’s the Most Popular John Wayne Western. I base this judgement purely upon how often it’s shown on TV – which is Very Often. Almost weekly. I’ve watched it myself on TV several times. I never plan to, but if it’s on, I often find myself watching it. 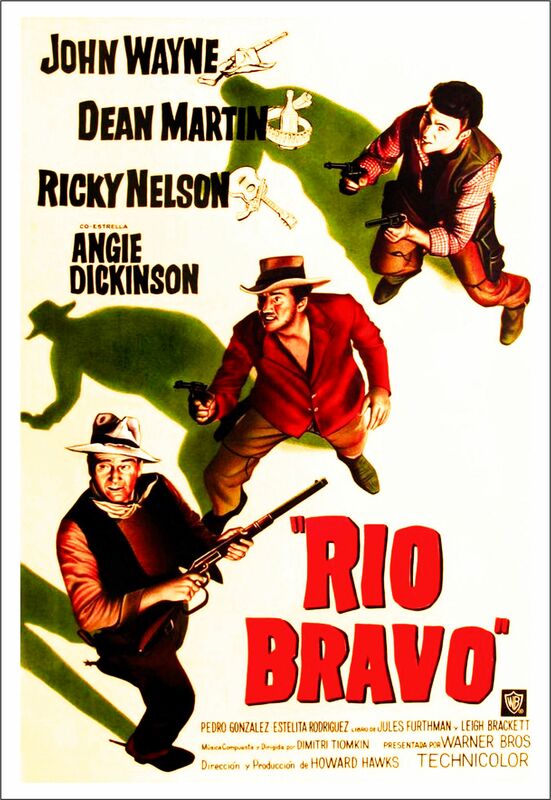 This would make it somewhat of Classic for me – a movie you can watch over and over. So what’s the attraction? 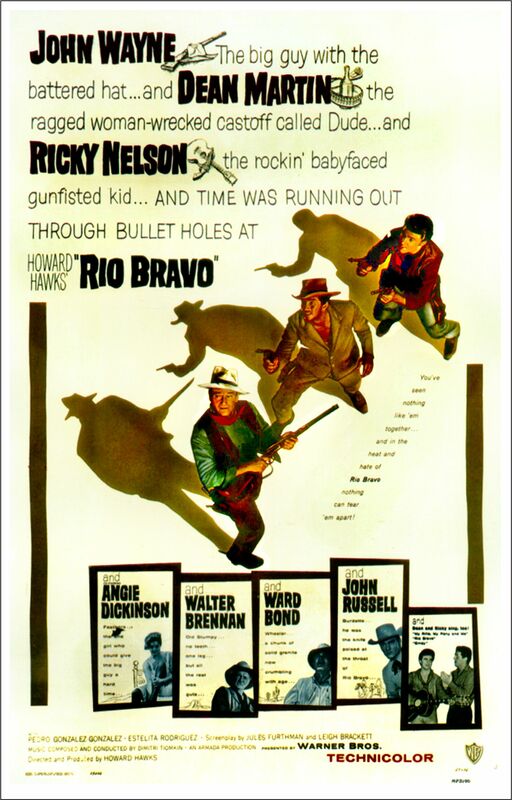 I’d say it’s the amazing Star Power of John Wayne, Dean Martin, Walter Brennan, Ricky Nelson, Angie Dickinson – and it’s notable support cast Ward Bond, John Russell, Claude Akins … even Harry Carey Jr. is in there. These folks casually drive this movie in an almost hypnotic and effortless fashion. 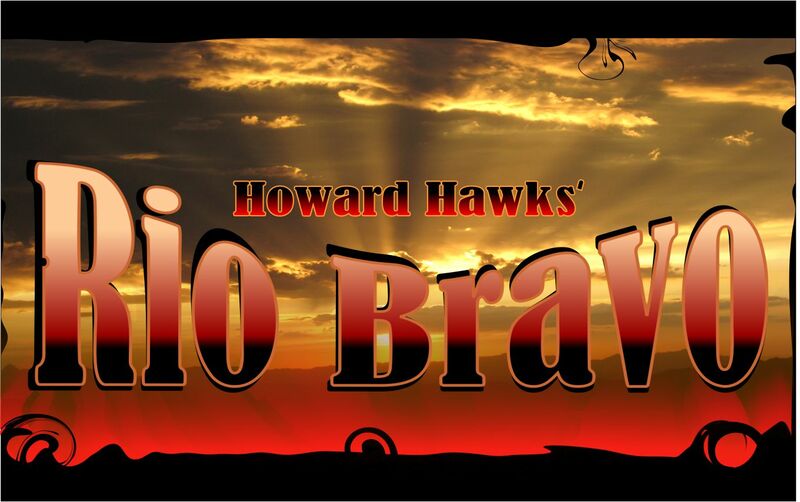 Good story telling /marvelous Casting. 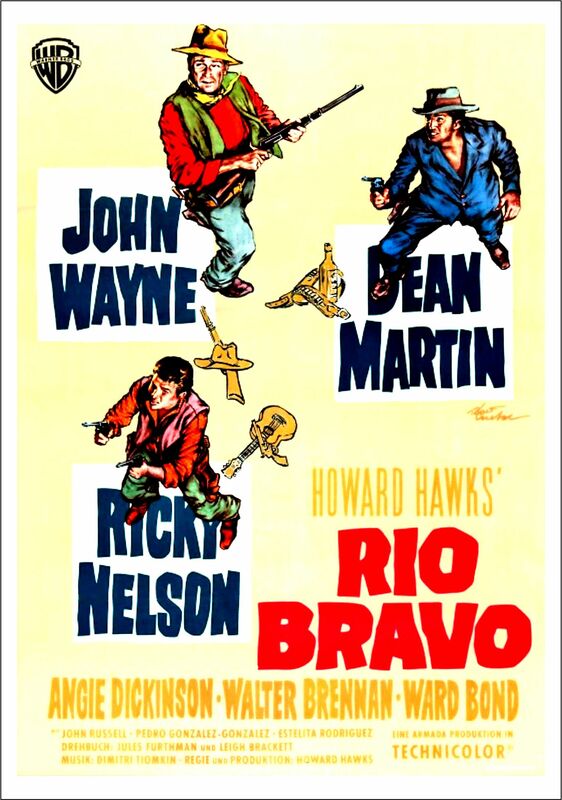 Howard Hawks of course, knew how to make a Western: Viva Villa (1934), Barbary Coast (1935), The Outlaw (1943), Red River (1948), The Big Sky (1952), Rio Bravo (1959), El Dorado (1967), and Rio Lobo (1970). Some Classics, most are popular and well known. 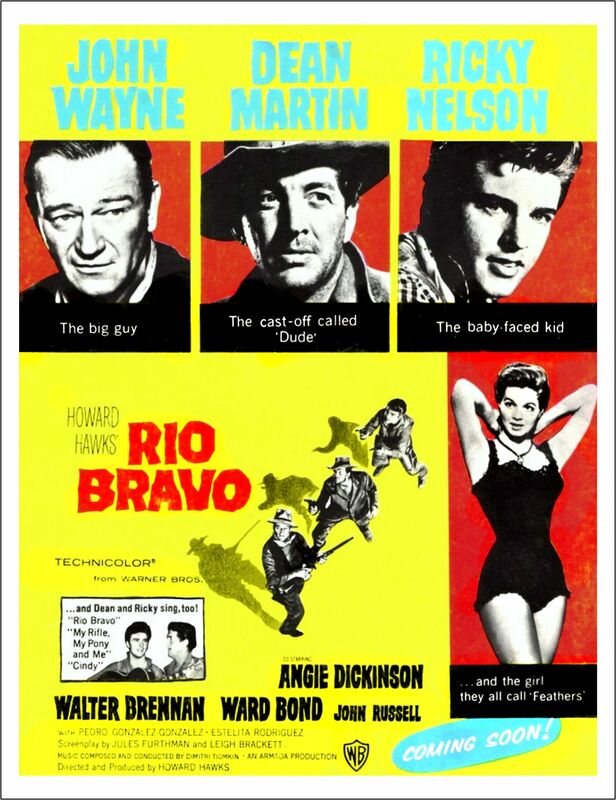 Four feature John Wayne. 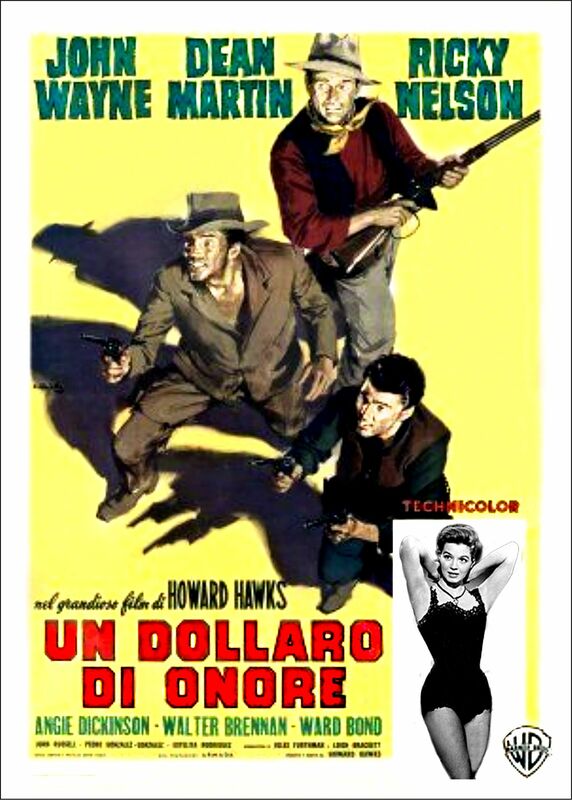 Hawks knew John’s Star Power would easily carry any movie – even if the movie seemed fairly formula. Guaranteed box office.